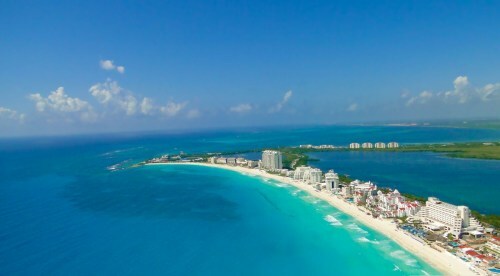 There are some very cheap last minute flights from Toronto to Cancun, Mexico (CUN) showing up on CanJet Airlines today, for just $264 roundtrip including taxes. They depart next Saturday, April 11 and return on Saturday, April 18.
and then click through from Kayak to FlightNetwork for booking. Or, you can go directly to Canjet's website and book it there. AirBNB is showing 56 'entire places' in Cancun on those dates for under $80 CAD / night. If you can get yourself down to Tulum or Akumal (south of Cancun) there are over 182 'entire places' for under $80 CAD /night. The beaches around that area are ridiculously nice. Special thanks to Rishi, a member of the YYZ Deals Facebook Group, for finding and sharing this deal. toronto, yyz, flight deals, cancun, mexico, cun, north america and canjet airlines.